Babelkid - Raising Multilingual Children: Scrap Greek and Latin, Teach Arabic and Urdu! Scrap Greek and Latin, Teach Arabic and Urdu! 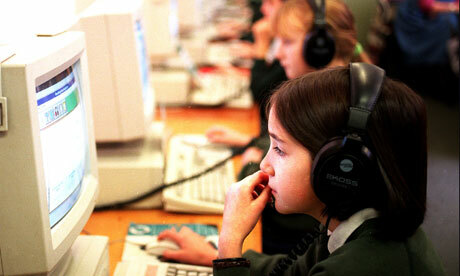 Learning a foreign language in the UK is to become compulsory from age 7. Fabulous news! In practice, who is going to teach them? A primary school teacher whose only claim to foreign language knowledge is French O-levels 20 years ago and a one-week excursion to Tenerife or Fuerte Ventura every now and then? Now suppose the government can and will recruit native/fluent-speaking teachers, encourages immersion and allocates resources and time for learning languages. These are: Mandarin, French, German, Spanish, Greek and Latin. Now, I can see the case for French and German, languages of neighbouring countries, quite common and useful for understanding English. Mandarin and Spanish are increasingly important, due to the economic emergence of China and South America. But Latin? Greek? One is a dead language and, no offence to Greek-speakers, the other is only spoken by 13 million people worldwide and is sadly in no risk of becoming important on the economic scene any time soon. What about Arabic, one of the most spoken languages in the world? And what about Urdu-Hindi? After all, minority language literacy has proven benefits on academic achievement. It is a fantastic initiative, although only if implemented properly. My niece attends a UK high school where she has studied German for 4 years, and her language skills are rather 'lacking'. She took part in an exchange programme, and said when she went to Germany all the kids spoke to them in English becasue the German kids spoke great English, and didn't really understand their German! I also liked you comments about 'useful' languages. This was real food for thought for me. We are currently trying to decide which language to introduce next, and I am leaning towards Arabic or Mndarin. Now I just have to work out how to introduce them - time for some research I think! I agree wit you Fiona on the criticalness of implementation. Budgets need to be increased, and a review is needed into the current teacher-led learning model and focus on sats/immediate results. Great that you are looking into expanding your girls' linguistic horizon. Hope you find some fun and feasible way to introduce the to Arabic or Mandarin or any other language your family feels drawn to. Your kids and ours both speak German and English, they should really be able to communicate. I reckon the big problems would be to get them talking at all, and to focus on a particular language at any given time ("today we'll speak Arabic!"). "A primary school teacher whose only claim to foreign language knowledge is French O-levels 20 years ago and a one-week excursion to Tenerife or Fuerte Ventura every now and then?" Spot on according to my primary school teacher sister. We are really woefully bad at this in the UK. I had 8 years of Welsh lessons at my English medium school, along with my peers and none of us can speak a word (and usually can't remember any French, Latin or German either [blush]). Thanks for your comment Elizabeth. I do not mean to take anything away from primary school teachers. What I would hate to see is lip-service and box ticking without getting the right teachers and putting the necessary money in. You are right, many people study languages at school for a very long time and find they cannot string two words together to form a sentence. Not the person's fault though if the language had never been used in context. Exactly Annabelle, plus the fact that improving literacy skills in minority languages consolidates the majority language and academic achievements in general. I totally agree! In Japan foreign language education means English only. Why not Chinese or Korean, which are not only the languages of our neighbours but also the languages of the great majority of foreign resident? Too right... these languages (in the UK Hindi or Urdu) have very low social importance. It is sad.